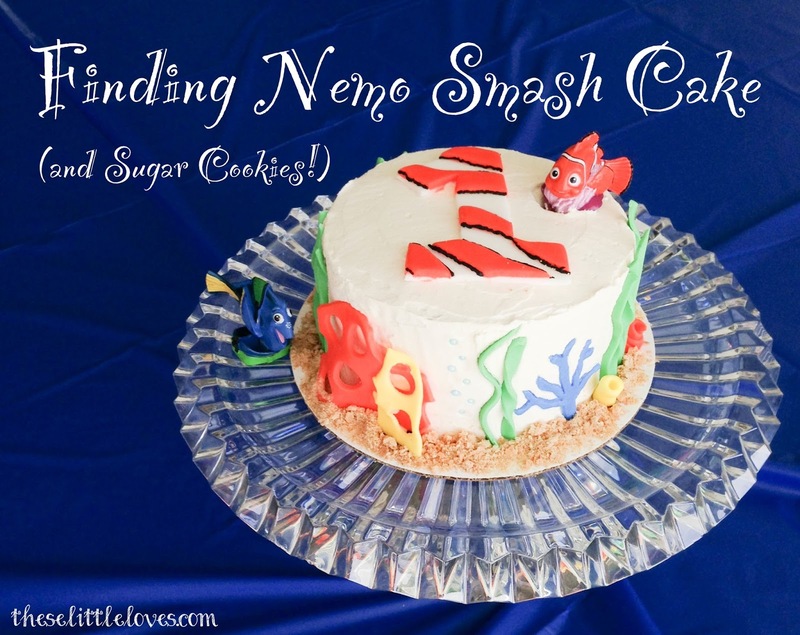 I'd had a bit more practice since my son's hungry caterpillar cake so I got a little more elaborate with this smash cake. To make the 'smashing' easier, the main body of the cake was not covered in fondant and instead iced in a simple white buttercream. 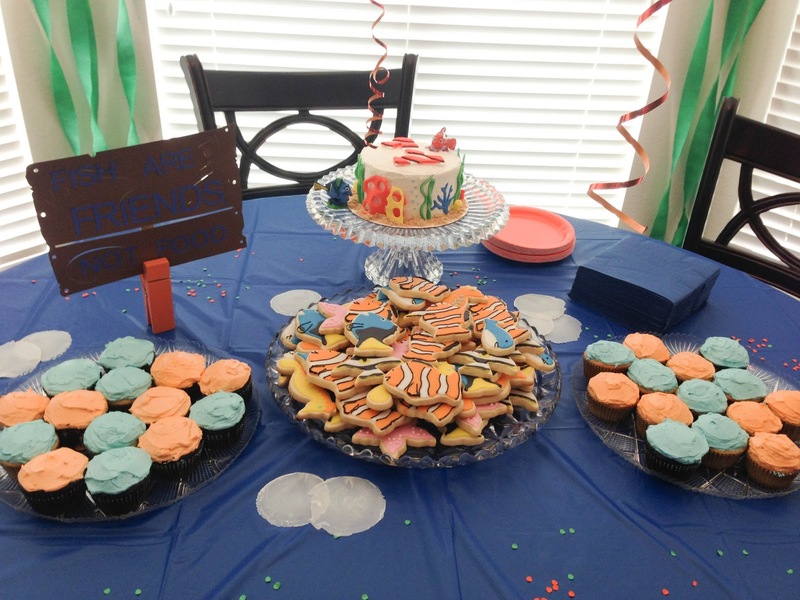 The rest of the decorations were made with brightly colored fondant. For Seaweed: Cut strips of green fondant, taper them on top, and bend and twist them in various ways then lay them out to dry for a few days to harden. 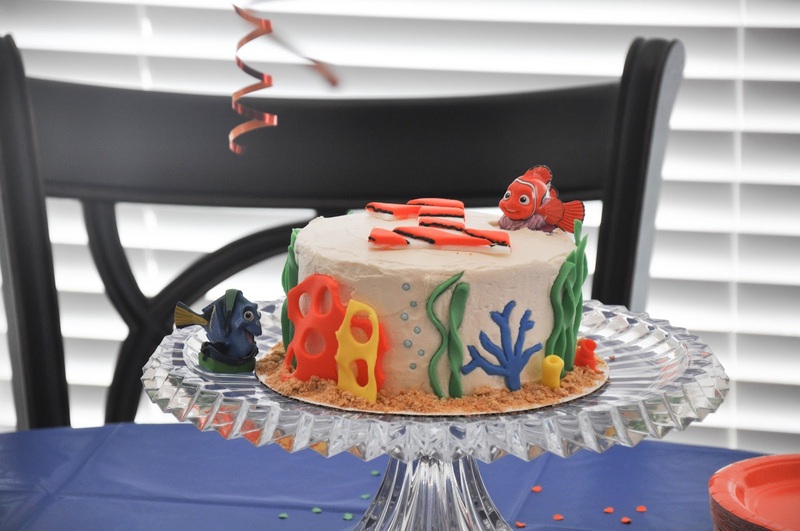 For Coral: The coral pieces were also made a few days in advance using various sized rectangles and then a small circle fondant cutter (or cookie cutter) to create the holes. To get the 3D look, put pencils underneath the fondant while drying. For Starfish: Cut a pink starfish using a cookie cutter and then 'dimple' the surface using the blunt end of a paintbrush. Cake Topper: Start by free-handing a giant white fondant '1'. Then add curvy stripes of orange fondant on top and trim to match the edges of the '1'. 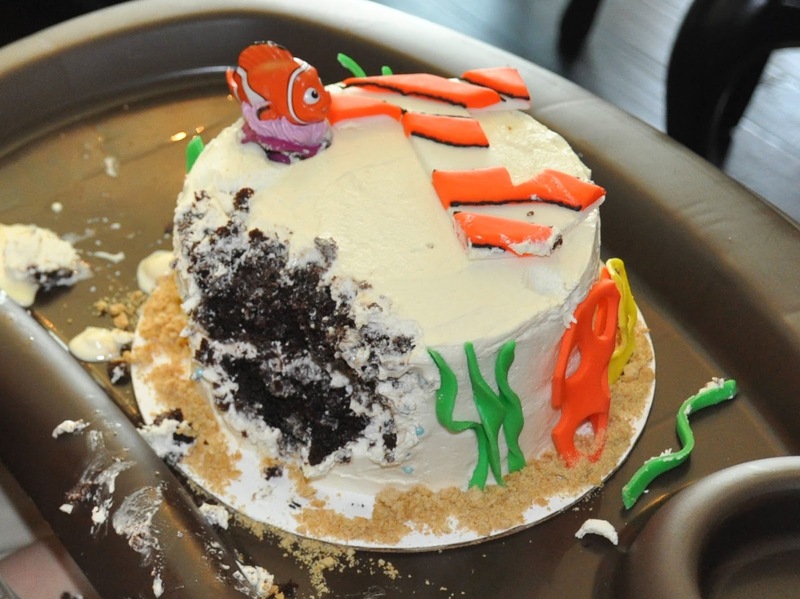 Then pipe a black buttercream icing along the edges of the orange to mimic a clown fish. In hindsight I would have used a thicker icing tip to get a cleaner black line. Obviously, my nephew was a huge fan of the cake. This 'after' picture was taken only partway into his cake eating. We basically had to pull him away as he was shoveling fistfuls into his mouth as fast as he could go :). I don't blame him. Mexican chocolate cake is my favorite too. And now for the cookies! 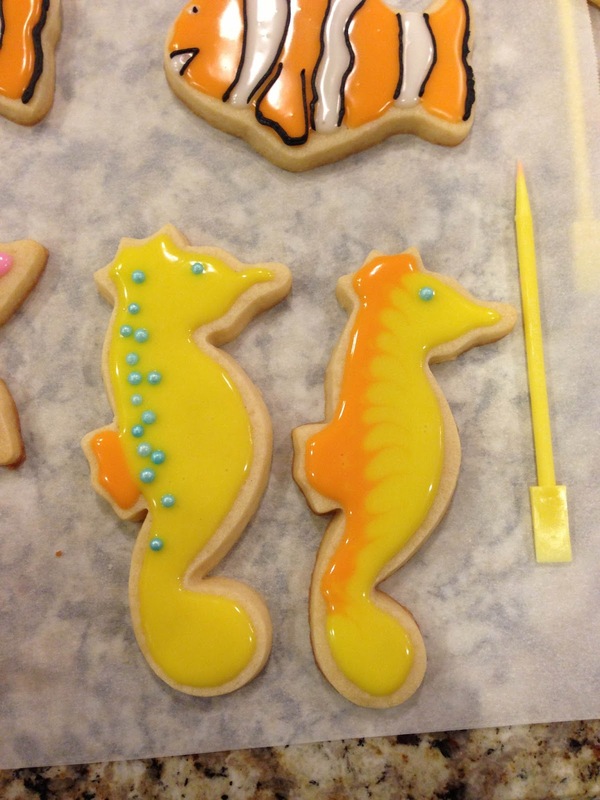 As I mentioned in this post, my sister-in-law and I had just 'apprenticed' a sugar cookie genius, so obviously we had to put our new skills to the test. 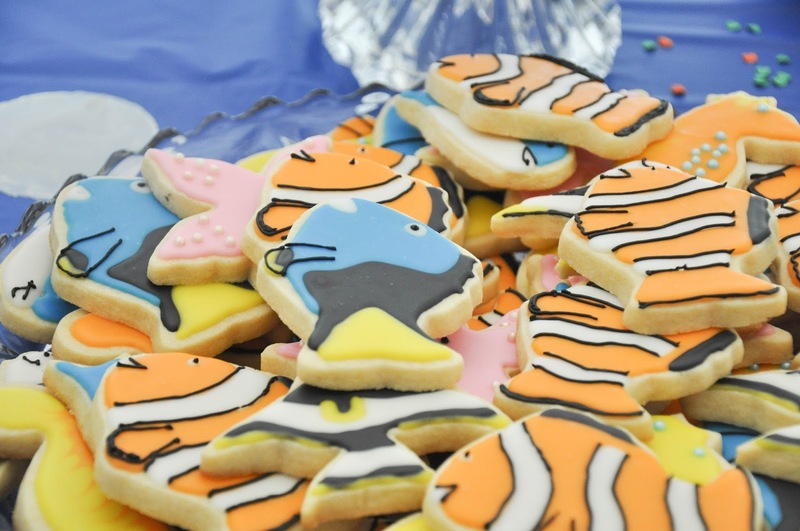 The result was a ridiculous amount of fish sugar cookies. I think they turned out pretty great for our first glaze decorating attempt! We had Nemo, Dory, starfish, angelfish, seahorses, and whales. It turns out you can even make a Dory and a Nemo fish from the same standard fish cookie cutter. If you have ever decorating with a glaze icing, you know it often has to be completed in steps when multiple colors are used. With the help of my fellow engineer sis-in-law, we set up a little assembly line that allowed the individual colors to set before switching. For Nemo: Start with the orange stripes leaving a hole for the eye and the mouth. Make sure the edges of your stripes are a bit wavy and not too straight. Once the orange is partially set, add the white details (stripes, mouth, and eye). 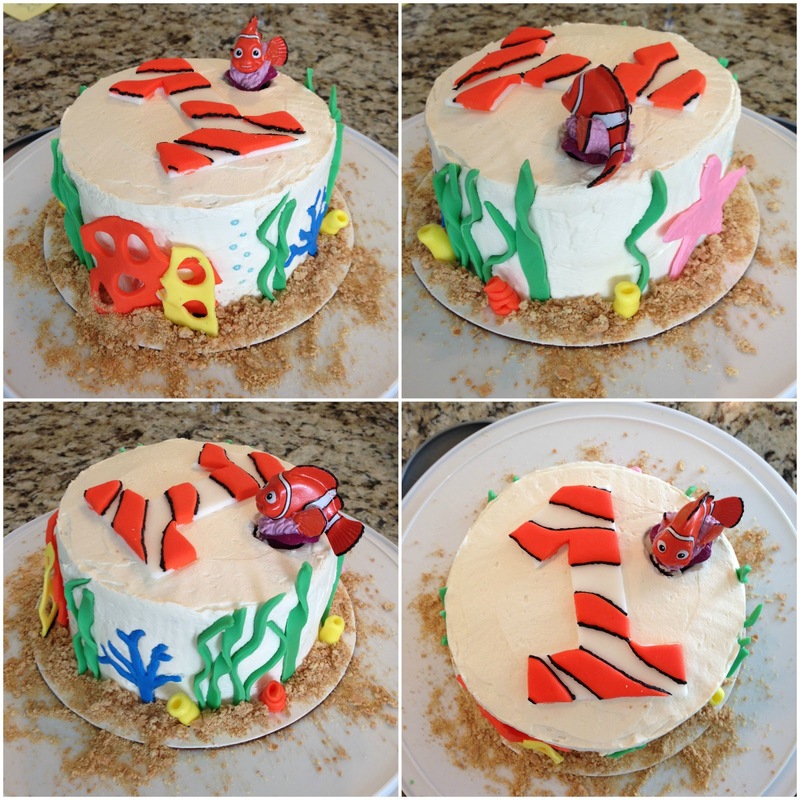 Once the white is set, use a black buttercream to detail the black outlines for the stripes, mouth, eye, and fins. For Dory: Start with the blue body leaving a hole for the eye, mouth, and fins. Follow up with the black mid-section and fin stripe and white eye and mouth. Fill in the tail and remaining fin tip with yellow glaze. The black buttercream icing again outlines the fin and dots the eye. The whale and the starfish were the simplest. Starfish: Flood the starfish with pink glaze. Place pink candy dots on the 'arms' and use the buttercream for a smiley face. Whale: Glaze the blue of the whale first. Add the white belly second, and the black eye and smiley face again with the black buttercream. The seahorses had no consistent pattern and we really just experimented here. I went back and forth on which design was my favorite. First it was Nemo, then Dory, but I have decided that the angelfish is actually my favorite. Angelfish: Start with white and glaze the face, one body stripe, and a stripe on the tail. Add the black, leaving just enough room for yellow detailing on the side fin, top, bottom, and the tail. Finally, add the eye and smile with the black buttercream. And at this point, I was exhausted and it was midnight. Sugar can only keep you up for so long:).